The American Birding Association celebrates its fiftieth anniversary this year and one aspect of its celebration was a reprint of the first issue of the publication now known as Birding. What is apparent from the reprint, as well as other accounts of the ABA’s early years, is that the ABA was founded in large part to address information and communication shortcomings in the birding community. Thus, at that time, birding information was scarce and local, distributed, if at all, by individuals or rudimentary networks of birders. In that world, a mimeographed newsletter was a giant leap forward. Of course, that world no longer exists. The internet has been game-changing for birding, just as it has been for other fields. There are also countless field guides, birding tour companies, birding festivals, birding books and magazines, and bird-related conservation organizations. There is now an abundance of high-quality easily-accessible information for birders. And communication among birders is easy and instantaneous. To the extent there is an informational problem for today’s birders, it is too much information. This has consequences for the ABA as it plans its future. 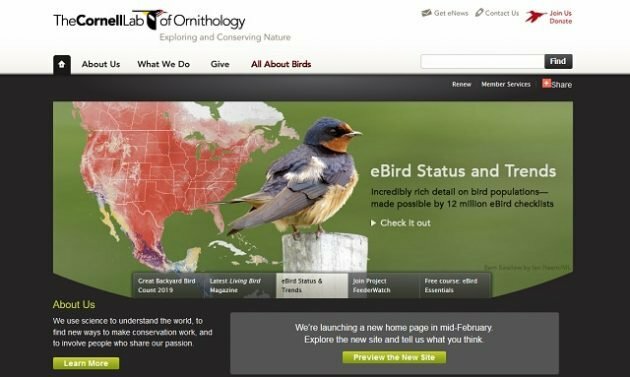 Numerous well-funded organizations now provide enormous quantities of authoritative information for birders. Although some of these organizations existed five decades ago, increased resources and the internet have greatly expanded their scope and reach. But it is eBird that has particularly transformed birding. Managed by the Cornell Lab, eBird tracks a user’s life life, as well as lists for regions, countries, states, counties, and the ABA Area. It allows users to submit photos and recordings and provides detailed information on bird species, including sightings, distribution, identification tips, photos, and recordings. It has profile pages, pages to explore hotspots, and rarity alerts, among many other features. The days of listing anywhere other than eBird are likely numbered. (The 10,000 Birds collaborative list is maintained exclusively on eBird, for example.) My impression is that most young birders are eBirders, a trend that will surely continue due to its convenience, accessibility, and contribution to science. Also, it is free, easy to use, and continuously updated with new functionality. The rise of the Cornell Lab is reflected in its budget, which was approximately $10 million in 2003 and $30 million in 2018. Of course, all of this has been highly beneficial to birders. There has been an explosion in field guides as well, with many excellent guides for North America (and virtually anywhere else on the planet) as well as comprehensive volumes dedicated to specific types of birds such as raptors, warblers, hummingbirds, owls, gulls, waterfowl, and seabirds, among others. Several field guides have related apps, including Sibley, and many of those apps feature audio recordings for each species. The market for field guides has never been deeper or more diverse. Field guides are just the tip of the iceberg when it comes to birding-related books. There are numerous volumes on bird identification, places to go birding, bird feeding, rare birds, big years, and even bird sounds. There’s an excellent History of American Birding. Many birders carry a library of electronic field guides in their pocket, not to mention other apps, such as eBird, Song Sleuth, Larkwire, and Merlin. There are even a handful of region-specific birding apps, including for southeast Arizona. Many of these apps utilize GPS, allowing a birder to determine location to within a few yards. Others record and identify bird songs. The development and rapid proliferation of powerful apps has changed birding. Smartphones, let alone apps, were unimaginable fifty years ago. There are also at least two U.S. birding magazines, Birdwatching and Bird Watcher’s Digest. Both have high-quality articles on a broad range of birding-related topics as well as fine photography. Both operate websites that provide useful content, including lists of major birding festivals and birding hotspots. Even the ornithological literature is readily available to birders. In addition to eBird and All About Birds, there are multiple online birding forums, listservs, and countless online birding resources, including 10,000 Birds. Birding festivals abound: among them are the Biggest Week in American Birding in Ohio, Space Coast Birding and Wildlife Festival in Florida, Winter Wings Festival in Oregon, Audubon’s Nebraska Crane Festival, Southeast Arizona Birding Festival, Rio Grande Valley Birding Festival in Texas, to name just a few. There are now dozens of birding festival across North America throughout the year. No birder could possibly attend even a tiny fraction of these festivals. There are also numerous birding tour guide companies that arrange dedicated birding trips throughout the world, even to the most remote areas on the planet. And there are pelagic birding outfits on both coasts. Naturally, many are active online. For example, Brian Patteson’s Seabirding offers pelagic trips from Hatteras, North Carolina, and those sightings are reported on its blog and by Tweet. There are also many well-funded conservation organizations that focus on birds. The National Audubon Society is a non-profit behemoth and its many chapters are vibrant. The American Bird Conservancy also works to conserve birds, and there are many others (e.g., The Peregrine Fund). Birder communications are instantaneous and sightings of rare birds are quickly disseminated. For example, a recent appearance of a Red-flanked Bluetail at UCLA was quickly posted to the California listserv, eBird, and other places. It made the Los Angeles Times and UCLA even issued a press release. It is a truly golden age of birding information and birder communication. Again, to the extent there is an informational problem for birders, it is too much information and too many options. Even a dedicated birder cannot hope to consume even a sliver of today’s birding information. Of course, the fact that technology and the passage of time have radically changed birding is hardly a unique insight. And the ABA is part of this golden age. It is online, with its website, blog, podcast, rare bird alerts, Facebook pages, and Twitter feed. It also offers tours, supports young birders, and publishes Birding as well as state birding guides. But because of this explosion of birding-related information and the rise of instant communication among birders, the ABA is an ever smaller part of the overall birding community. One can be an devoted birder, with a constantly updated life list, actively involved in discussions of local, regional, and national birds and birding, all without ever joining the ABA. Given the supposed number of birders (up to 10 million “active” birders) and the membership numbers of the ABA (about 12,000), that is seems to be exactly what most birders do. As the ABA develops a strategy for the next 50 years, it should carefully consider its place in this crowded and vibrant birding community, assessing where it can provide unique and valuable information or services to birders.